Posted by Raven Bower on October 12, 2012 in News, Uncategorized | Comments Off on Book Booty! Picked up a bunch of books at Context and wanted to share the bounty! I read this book and it’s a 5 bat one! 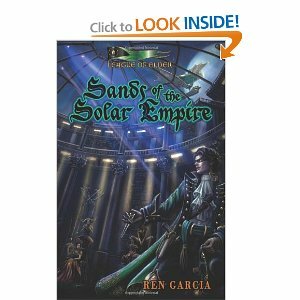 If you like sci-fi, fantasy and romance you’ll really like Ren’s world. GET THE BRANDY TO BAZZ . . . That’s all Paymaster Stenstrom, the Lord of Belmont-South Tyrol, has to do and the old warbird Seeker is his. He has dreamed of captaining a Fleet ship his entire life. Little does Paymaster Stenstrom realize that he is in the grip of an old Vendetta and the short trip to Bazz might very well be his last. 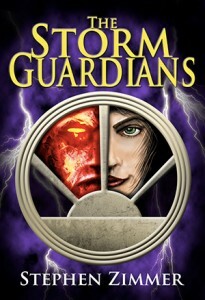 Faced with a dead ship and a lost crew, Paymaster Stenstrom finds help in the strangest places: the thief Marine and the milquetoast young man from the Admiral’s office, and, though he just became acquainted with these two strangers, he discovers they have been influencing each other’s lives for a very long time. Something sinister hovers over Paymaster Stenstrom and his two new friends, something they are only now becoming aware of. The SANDS OF THE SOLAR EMPIRE stretch out before them in an endless gulf brimming with the unknown. 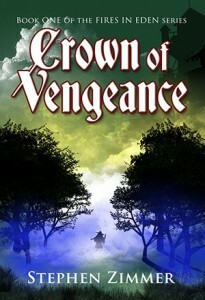 Can a masked Paymaster, a thief, a coward and a once great warbird face what awaits them? In the blink of an eye, the world has turned into ash, leaving behind a planet thrown into chaos. Months later, the radioactive dust settles, and the survivors crawl out of their holes. They find the world has been changed forever. 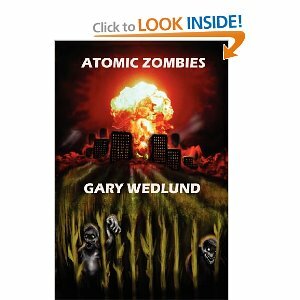 In the Ohio countryside, Joe and Zuzu find nothing but devastation, bodies and rotting corn as far as the eye can see. Every breath is personal and rebuilding their lives becomes endless toil. In a nearby town, others emerge with more malevolent intentions. They murder the men and elderly, keeping the women as slaves. Zuzu wants to help, but Joe is cautious. After all, they have to think of the children they have adopted, small survivors with no one else to take care of them. And if things aren’t hard enough, they must also deal with the walking dead. 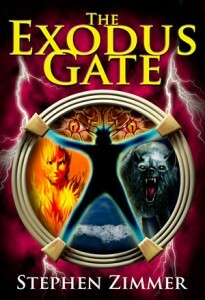 The Exodus Gate, by Stephen Zimmer, is a modern fantasy novel that is the first release in the Rising Dawn Saga. The story unfolds around Benedict Darwin, host of a popular late night radio show that deals with the paranormal. Benedict comes into possession of a virtual reality simulator that turns out to be something far greater and more powerful than he ever expected. Meanwhile, supernatural powers from the depths of the Abyss and their human allies are working tirelessly to bring about a One World Government. They are also laboring to bridge the boundaries between time and space to bring back the Nephilim, the monstrous offspring of Fallen Avatars and humans that were destroyed in a Great Flood that occurred long ages ago. An epic tale of courage, hope, and adventure, with fantastical realms and exotic creatures, The Exodus Gate is sure to appeal to a wide range of fantasy readers. The first edition also feature 15 full page illustrations by the artist Matthew Perry.